A traditional Lavender fragrance which has a fresh and invigorating scent, evocative of the English countryside, Varsity matches and the great British sporting tradition, distinctive and full of character. It contains a blend of English and French Lavender, topped with herbaceous Peppermint and Rosemary essential oils with Bergamot on a base of warm Oak. 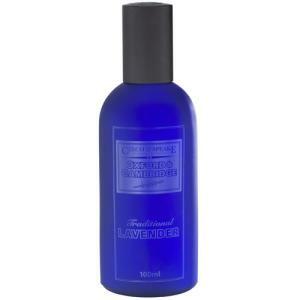 The Oxford & Cambridge Cologne starts very heavy on the lavender front but quickly settles down to a nice, subtle fragrance. This Oxford & Cambridge Cologne starts off with very fresh lavender scent but quickly subdues into a more complex fragrance which is very gentlemanly and rather moreish. I've found it will last for at least half a day. It's the perfect fragrance for an English afternoon!